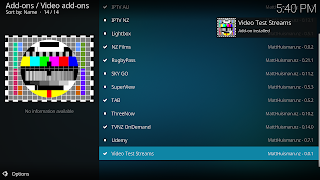 More and more online content providers are now using Widevine DRM for streaming their content. 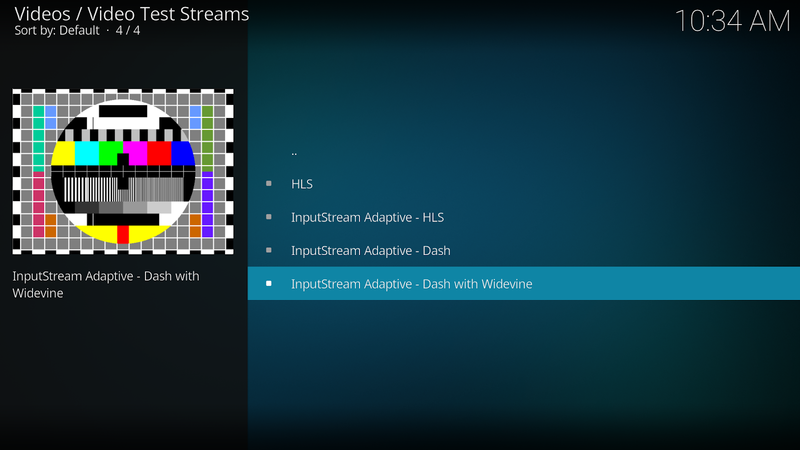 Kodi 18 has implemented support for playback of Widevine DRM content via the inputstream.adaptive add-on. Note: Kodi 17 does not support Widevine playback. 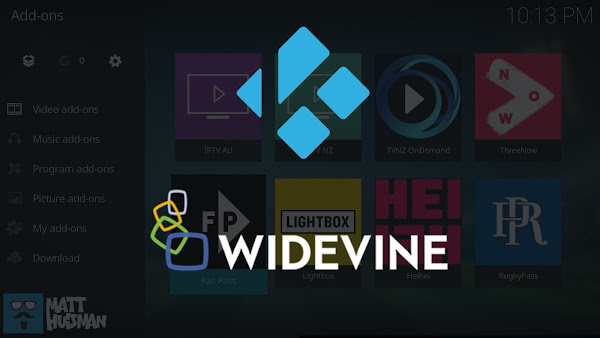 Any of my add-ons that require Widevine will automatically attempt to install the required dependencies the first time content is played. 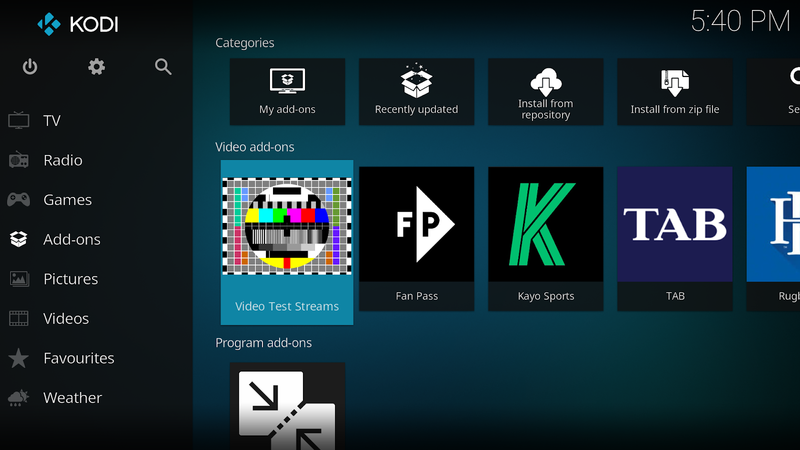 Below is a list of supported platforms. 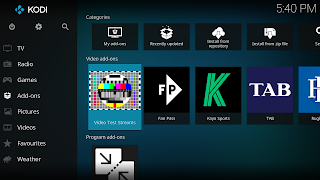 This add-on allows you to test if your Kodi device can playback certain formats (including Widevine). 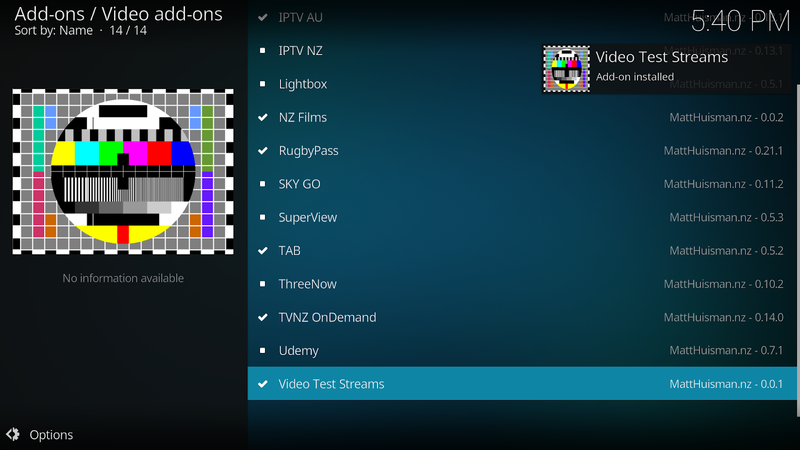 Select "Video add-ons" then "Video Test Streams"
Once in the add-on, simply click a stream to test it. 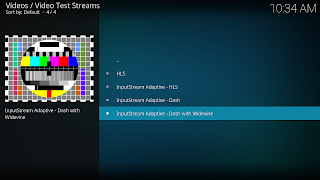 To confirm Widevine compatibility, select the "InputStream Adaptive - Dash with Widevine" option. If you get a prompt to install InputStream Adaptive, select YES. 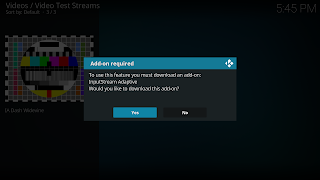 Don't worry if the streams in this add-on buffer. As long as they play, then your good to go. 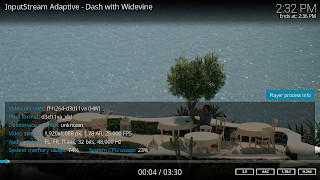 Feel free to remove this add-on once you have tested playback.